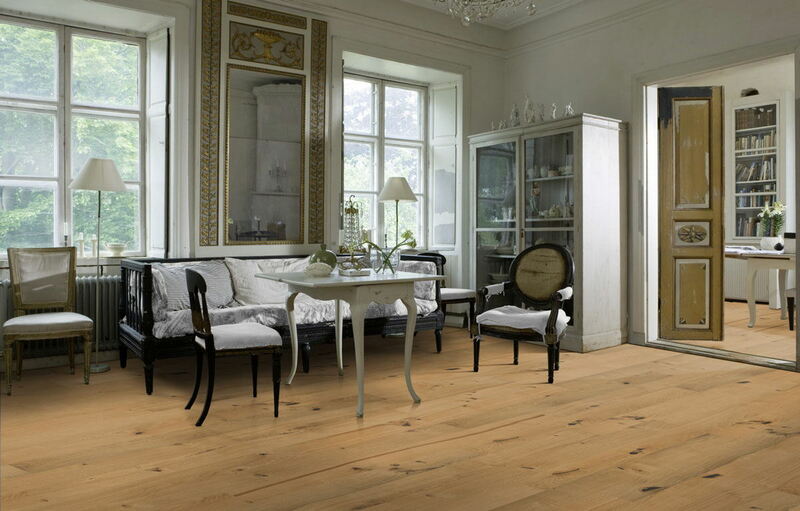 Transform a room with the natura by Kahrs oak new Cambridge engineered wood flooring from flooringsupplies.co.uk. The wide oak planks are finished with a satin lacquer to keep the goodness locked in for longer. Check out the photo above to see how the character grain and smooth surface of the flooring makes a room look homely. Order the natura by Kahrs new Cambridge engineered wood flooring now. To assist with installation, occasionally the packs may contain a pair of half boards. The panels were accurately sized so that if care was taken to fit them, fitting errors did not build up across floor width. The finish of the boards was generally very good, however we had one heavily bowed board in one pack and a couple of boards that had to be rejected because of localised finish defects. Surprised to discover on opening of some packs that a pair of half length boards had been substituted for a full length board. There was no indication on the packaging of this. It was not a problem for our board layout but it could be for some. You kindly sent me a sample of the Natura By Kahrs Oak New Cambridge Engineered Wood Flooring. The sample looks a bit too 'laminaty', if you pardon the expression, where as on the photo there seems to be knots/imperfections - is it that I've just got a very 'perfect' sample? ie can i expect the more natural look of the photo? Hi Alex, As a general rule we'd recommend against using engineered floors in bathrooms, just because of how wood reacts to moisture. A satin lacquered floor like this one would be more resistant than an oiled floor, however. For more information about engineered floors, see here: https://www.flooringsupplies.co.uk/advice/engineered-flooring-toughness-durability And for more information about putting floors in bathrooms, we've got a quick guide here: https://www.flooringsupplies.co.uk/advice/floors-for-bathroom Hope that clears things up for you!